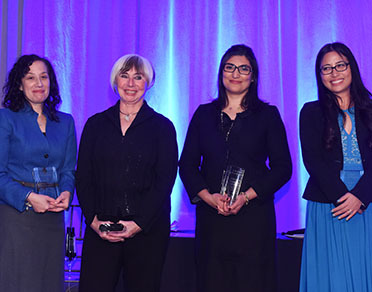 The 2017 Women In Biometrics Awards program is now accepting nominations for biometric’s industry execs, standards creators, researchers, issuers/security practitioners, and other leaders. Nominations will be accepted through September 29th. Click here to nominate a colleague, a client or yourself. The Women In Biometrics Awards is now in its third year. It’s co-presented by SIA, the leading trade association for global security solution providers, and SecureIDNews, a leading biometrics and identity industry publication. Sponsors include OT-Morpho and PSA Security Network. The idea for the awards program was hatched at an industry conference several years ago as colleagues ruminated how biometric technology was coming into its own and the industry was maturing. “It came up in conversation that there have been so many women who’ve contributed significantly to the growth of the industry – and how many of our end users at big government agencies and big corporations were actually females driving some of this technology growth,” says Chris Corum, executive editor of Secure ID News and a founder of the Women in Biometrics Awards. Winners of the 2017 Women in Biometrics program will receive their awards in Manhattan on November 15th at the SIA Honors Night during the ISC East event, alongside other internationally recognized security industry honorees.